With the baseball season now past the halfway point, many fantasy players may be searching for options to make their mlb lineups competitive. There are still several options available in most leagues that can give you the boost you need to make a run in your league. Here are some of the best options. Perdomo has worked his ERA down incredibly from 9.00 to nearly less than 4. His strikeout rates are moving up and he has not given up many homeruns. Owned in about 20 percent of leagues, Perdomo is a steady play that can help improve your roster. 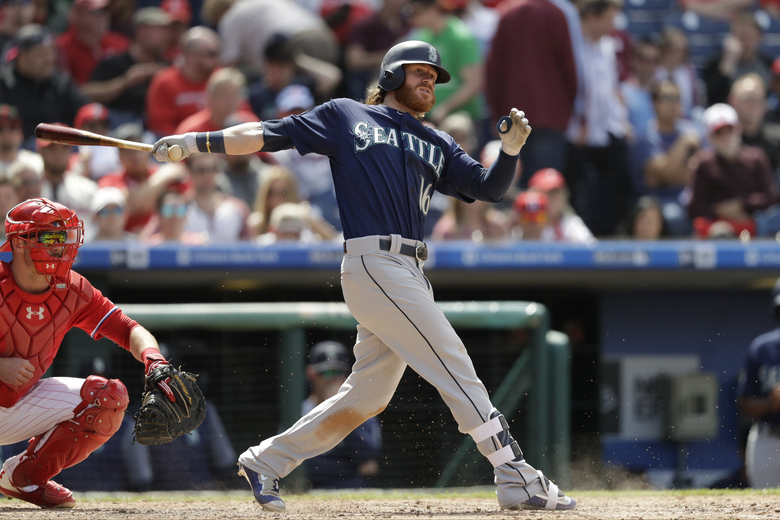 Mitch Haniger has not been missed by the Mariners as much with the arrival of Gamel. His power has helped the Mariners lineup, hitting well over .300. His stolen base potential was quite evident in the minors and is something that makes him attractive to potential owners. Currently he is only owned in about 15 percent and is a nice addition to most teams. Robles has become a full-time setup man as Reed has moved back to a closer role. His fastball has made him an attractive pickup and could be a great addition to any fantasy lineup. Hoskins showed great power in the minors hitting well over .300. His 38 homers in Double-A last season are even more impressive. Currently owned in just over 11 percent of leagues he is a great addition to most teams. Most fantasy football championship games are played during Week 16 of the NFL season. However, some finals are played on the final week of the season, which can create some interesting dynamics for its participants. How do you account for the uncertainty that occurs during that week and build a team that has a good chance of winning? Are There Any Players Playing for Interim Coaches? Those who are playing for an interim coach tend to play harder than they otherwise would given that their season is over. For instance, Blake Bortles may be a stronger play now that Doug Marrone is the head coach in Jacksonville. In Buffalo, players on both the offense and defense are looking to make a statement as they hope to beat the Jets and finish no worse than 8-8, even with Rex Ryan out as coach. What Are Teams Playing For? The first thing that you need to do is look at the NFL standings going into the final week of the season. If you have players on teams that either out of the playoffs or have clinched their playoff spot already, it may be a good idea to look into benching them. Teams that are already eliminated may be looking to get tape on younger players for next year while teams already in the playoffs may be looking to rest their starters to avoid injury. Are Players Approaching Any Milestones? Teams may play a star player if he is approaching a milestone for his career or a milestone with the team. If you notice that your running back is close to 1,000 yards for the season or could hit 10,000 yards for his career, that player may be worth starting. This is because there is a good chance that he will get a lot of touches against a defense that may not be trying its hardest. Do You Have Anyone Playing for New England On Your Roster? Even when the Patriots have nothing to play for, they have everything to play for. Guys like Tom Brady or LeGarrette Blount are going to see a lot of work and are looking to put up as many yards and points on offense as possible. When a team starts a new quarterback or has a new coach, it could be a boon for players who have been overlooked this year. New York Jets wide receiver Robby Anderson has benefited greatly from having Bryce Petty as his quarterback. Therefore, trust you instincts when it comes to starting players who may have a breakout performance despite not doing much all year. Week 17 can be among the most unpredictable in the NFL. Teams are either playing out the string, have already locked up a playoff spot or are starting players who you are not familiar with. However, if you are willing to do your research, you should be able to construct a lineup that has a good chance of putting up points that week. football lineup set with Fanpicks week 12 start or sit column. stretch, vying for the best playoff lineups in daily fantasy football league. and sleepers to make up the best lineup to win your game. extra cash might just come in handy with all the black Friday deals out there! old toddler at QB against this defense with confidence. changes this week as the Jags rookie goes for 120-plus and his second NFL touchdown. got a difficult matchup this week against the Steelers having let in just two rushing TDs on the season. picks in this game, but also putting Thomas over 100 yards with a TD or two along the way. and have another nice shot at over 100 yards and a score in week 12. Green has a ton of talent but hasn’t put up the numbers his talent would suggest he should this year. the week they are likely to put it together. is good news for owners of the talented tight end since he gets another great opportunity this week. with the Giants Reed should be a major part of the offensive plan. each of the last three games the Chiefs will host the Bills and a defense that can handle the TE position. If you start him you are probably reliant on Kelce scoring. couple interceptions along with a handful of sacks is realistic. The Broncos are the No. 1 defense in all of fantasy football but I will avoid them this week if possible. waiver wire advice, weekly rankings, daily talk, and other life changing information. Matt Hasselbeck @ ATL – Call me crazy, but he’s played well, and with the extra week to prepare, I think he has a chance here as a bye week plug in or for real cheap in daily leagues. Atlanta has been alright vs the pass, giving up just over 250 yards per game, but in the dome, I think he can get some big catch and runs from his wide outs. If things finally go as planned for Atlanta, Hasselbeck should be throwing a lot late. Philip Rivers vs KC – After a down week and then a bye, Rivers is looking to get it flowing again. This matchup is also not the best, as KC has been pretty good vs the pass, but the bye week had to freshen him up, and as always, he will toss it a ton. Jonathan Stewart vs WAS – Washington is not stopping anyone on the ground, and the Panthers should ride their big back to a victory. He’s getting 20+ touches per game, and gets a great matchup here. Start him with confidence, it will be another 100 yard day vs the Redskins D, which would be the 5th time in 6 games. Justin Forsett vs STL – I mostly like him because he has a similar skill set as Bears running back Jeremy Langford, who torched the Rams a week ago. It’s been a while since Forsett came through, but he has a good chance here to do some damage in the run as well as the pass game. St Louis is giving up nearly 110 yard per game, so they aren’t as stout as people think. TY Hilton @ ATL – The reason I like Hasselbeck so much is because of Hilton. Finally healthy off his bye, and saw 22 targets in Hasselbecks two starts. He’s fast, and the turf in Atlanta will only help. He will be back to form in week 11 and could go off for one of his huge games. Kamar Aiken vs STL – Saw 14 targets last week, and they really have no one else to catch it on the outside. The volume is there and so is the matchup vs a Rams team that just gave up 3 passing TD’s last week vs the Bears. He hasn’t scored a touchdown since week 6, but I like him to get in the end zone this week. Jason Witten @ MIA – Like him for one simple reason; his boy is back. Romo is back this week and he has something special with his tight end. You’ve probably had him in and out of your lineup all year long, but this is a week to have him in. His QB is back and he’s facing a defense that could not stop the Eagles tight ends a week ago. Jacksonville vs TEN – I like the spot here vs a rookie quarterback on the road on Thursday night. The Jaguars have been a lot better defense this year than people know. They do have a tough time getting to the quarterback, but they should be able to force some turnovers in what looks to be a low scoring game. Marcus Mariota @ Jax – For the reasons I like the Jags D this week, I also say sit Mariota. I’m just playing the odds here, and for as bad as these Thursday games have been, I don’t see this rookie having success. Jacksonville isn’t the toughest opponent, but I’m putting my trust in a tough situation on the road, more than the defense. Mark Sanchez vs TB – He just makes too many mistakes to trust, plus this team runs the ball too well to put the game in the hands of Sanchez. Tampa is actually top 10 in yards against, so not the easy matchup you think it is. I expect a heavy dose of Murray, and some Sanchez when needed. Not a guy to start this week. LeGarrette Blount vs BUF – A guy that is in and out of your lineup each week, this is a sit week. The Buffalo run D is good, giving up less than 100 yards per game, and gave up 99 yards to Ivory last week. This big back type just won’t get it going vs this D line and company. Brady and the Pats will find a way to win, but it won’t be on Blount’s back. Doug Martin @ PHI – It will be a tough go for Martin this week vs an Eagles defense that’s only given up 3 touchdowns on the ground this year. I’m thinking the Bucs will be trailing in this one, so the volume may not be there for him to rack up the yardage. He’s a sit this week if you have a better option. Stefon Diggs vs GB – He’s in a slump, and I never bought into his hype in the first place. Green Bay will be on a mission this week, but so will Minnesota. I don’t see them letting Teddy air it out, as this game will be won on the back of AP. Diggs won’t have many chances and has only seen 7 targets the last 2 games. James Jones @ MIN – Talk about a slump, James Jones is basically done. His value has plummeted with the return of Davante Adams, who saw 21 targets last week and is back to playing every down. Rodgers threw the ball 61 times last week, only twice to Jones for 0 catches. He’s better left on your bench this week. Zach Ertz vs TB – He had a season high in yards last week… with 68. Don’t get caught in this. He’s almost not worth owning, let alone worth starting. I really need to see something before I’m putting him in my lineup. He still splits time and hasn’t scored a touchdown yet this year. Cincinnati @ ARI – It’s simple; Arizona can score points. Did you see what they did last week IN Seattle? They are still wort holding if you have a roster spot, but not worth playing this week vs the high powered Cardinals, in Arizona. Andy Dalton @ HOU – His schedule is about to get tougher, but use him this week with a lot of confidence. It seems like the old Dalton who couldn’t play in the bright lights is gone. Start him Monday night vs one of the worst teams in the league. This should be another route. Blake Bortles @ BAL – That old Baltimore defense is gone. They are giving up over 280 yards through the air and only have 3 interceptions this season. On the Bortles side of things, he has only thrown less than 2 touchdowns in a game twice this year, and the last time was week 4. He’s a stud right now, and has a great matchup. Mark Ingram @ WAS – I understand Brees is on fire right now, but Washington is actually top 10 vs the pass and horrendous vs the run. They are giving up over 130 yards per game on the ground and Ingram is the only back in New Orleans right now. Spiller is nonexistent, so roll Ingram out there for 20 plus touches, 100 yards, and a td. LeGarrette Blount @ NYG – Could it be two weeks in a row? I’m going to say yes. With the loss of Lewis last week and the bad New York Giant run D, Blount and the New England ground game might get it going this week. I know we pick our spots with him, but if you have him, this is one of the weeks you start him. Davante Adams vs DET – Love the matchup here for Adams. Last week he quietly played a ton, and looks like he is 100%. If you can still buy him low, I would do it, this is your last chance. He is about to break out this week vs a Lions team who doesn’t want to stop anyone. I know it was a late game surge, but Rodgers and The Pack figured it out late last week. I like them with a big number here. Reuben Randle vs NE – This is more of a hunch here, but if you’ve been following, my hunches have been right on. So jump on this one, or forever hold your peace. Here’s why. Like I said last week about Jordan Reed, Belichick takes away what you do best. What do the Giants do best? Throw to Odell. They will do their best to stop him or at least contain him. Look for Randle to get a lot of single coverage and space. He will have a solid week and some good opportunity. He’s a great plug and this week with names like TY and Julio on vacation. Travis Kelce @ DEN – They have to move the ball somehow. The Denver D is going to be hungry as they return home after the loss last week. Kelce is their best threat, and the only way I see the Chiefs moving the ball at all. He had 4 catches on 5 targets the first time they played, he will do at least that this week. Pittsburgh vs CLE – No Bell, and the prospect of a very hobbled Big Ben, the defense is going to have to play well and win them this game. That, plus the browns offense is really bad. It doesn’t matter who their QB, the Steelers are a great play in yearlong and daily leagues. Jay Cutler @ STL – There’s a ton of buzz for a quarterback who threw a pick 6 and lost a fumble vs a two win team that can’t stop anybody. Do not buy into this hype, bench him this week on the road at STL. To make matters worse Jeffery did not practice on Thursday and he’s already down Forte and Royal. Cutler does not string good games together and going on the road against a top 5 defense vs the pass who have given up only 5 touchdowns on the year, ha, good luck. Drew Brees @ WAS – He’s on fire, but he will have a little tougher go this week. He leaves his friendly dome, where he absolutely tore it up the last two weeks, and heads to Washington to face a defense that has not given up a 300 yard passer this year. They are bad vs the run, so opportunity will be slim as well, expect a ton of Ingram and not so much Brees. Jeremy Langford @ STL – He had a great game last week, but it’s going to be tough to get anything going vs this D line. In STL, I’m not expecting much from the Bears this week. Langford will do enough because of volume, but if you have a different option, I’d go with him and leave the rookie on the bench. Charcandrick West @ DEN – I’m going to continue to fade running backs as they take on the immovable object that is the Denver Broncos. The Colts got to them a bit last week, but with a loss under their belt and returning home, Denver may not let them get much going at all. Mike Evans vs DAL – The only thing Evans does consistently is play inconsistently. It seems like every other week he has a big game, and this is one of those every others. If you can afford to do it, I’d leave him on the bench in 2 receiver leagues. For example, I’m going with Allen Robinson over Evans in week 10. Travis Benjamin @ PIT – He hasn’t done a thing since week 6, in fact, he had more yards in week 6 than he has since. He’s not a starting option anymore. If you caught lightening in a bottle for those few weeks he was usable, good job. To me, as a wide receiver on the Browns, he’s droppable. Ben Watson @ WAS – Had another 5 catches last week, but I’m assuming if you have him he’s not your only tight end. Opt for “the other guy” this week as the Redskins have been stingy vs tight ends and vs the pass in general. I don’t like Brees this week, and Watson is under his umbrella as well. Baltimore vs JAX – That old Baltimore defense is gone, I feel like I’ve said that before. Anyways, the Ravens are not a streaming option this year, they are just bad. The Jaguars are no lush on offense either and are a tougher matchup than you think. I like the Jags offensive weapons this week and don’t see the Ravens stopping them.